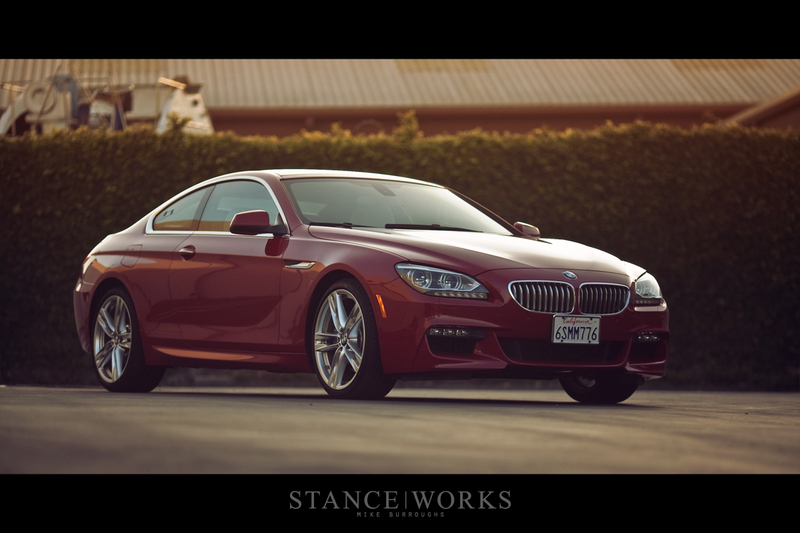 Any true BMW enthusiast is quite familiar with the E-series chassis codes. “E”, short for “entwicklung”, or “evolution”, was paired with a different number to differentiate each new BMW chassis from the last. For instance, the most commonly known code, “E30”, denotes the 2nd generation 3-series in its entirety. The E-series numeration has since been dissolved, carried over to “F-codes” for the most recent cars BMW has made, such as the F10 5-series, the F12 6-series, and the F30 3-series. It’s dissolution has foretold what many may consider the final nail in the coffin, marking the end of “real” BMWs after the loss of four individual headlights and Chris Bangle’s styling. The age-old saying of “they don’t make ‘em like they used to” seems perfectly fitting, yet it couldn’t be further from the truth. 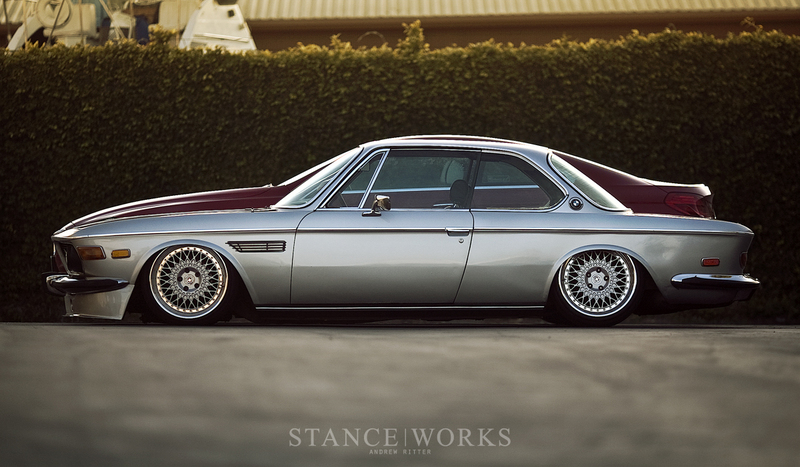 In 1968, the E9 was released as BMW’s halo car; the ultimate sports/touring grand coupe. Laden with luxuries rarely found anywhere else at the time, amenities such as power windows and air conditioning separated the 2800CS from the pack. It’s large straight-six engine gave it the power and torque to move about effortlessly, and the quality that went into the car was simply unparalleled. The unibody chassis was entirely one piece, from the nose panel, to the fenders, a pillars, roof, c pillars and entire rear end. The Karmann styled car was a sight to behold and it leaves little need for explanation why the E9’s value today is far more than it was brand new. After the E9’s retirement in 1975, it was replaced by the E24 6-series. The E24’s sharp lines were a direct evolution of the E9’s, keeping the touring coupe heritage alive and well. 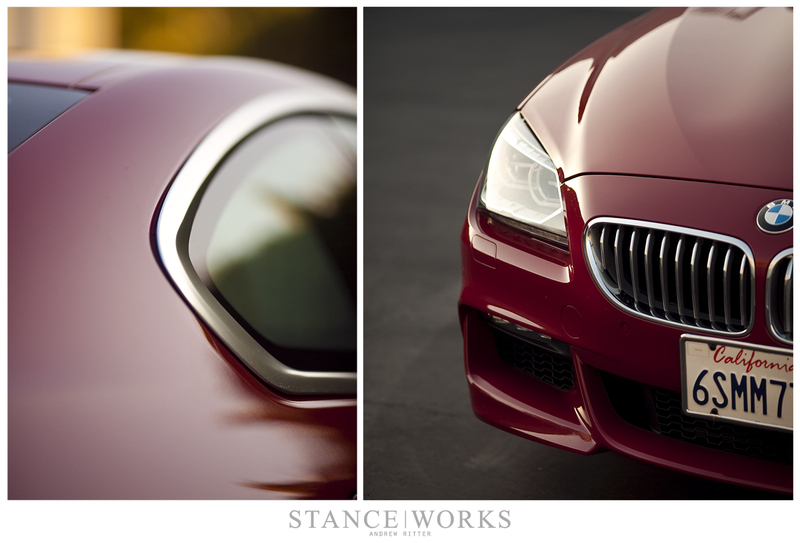 Today, we’re presented with the F12 650i M-Sport. Make no mistake, it’s certainly different from the car I know so well. The massive body dwarfs the already larger-than-most-sedans-of-the-time 2800. It’s electronics, ranging from fully dynamic suspension control to navigation and re-playable radio leave me feeling as though I’ve been stuck in a time capsule… but that’s hardly a bad thing. As a vintage car lover and someone who is quick to put down cars of today’s generation, it was almost a shock to find myself falling in love with the new 6er so quickly. Andrew and I drove the car from our Newport shop up to Laguna Seca this past weekend, a 6.5-hour drive that was likely one of the most comfortable, easy-going, and well engineered drives I’ve ever experienced. The ride quality was smooth and relaxing, and it was evident I was driving a car that vastly out-values anything I’ve owned, yet the calm nature of the suspension never left me feeling disconnected from the road. I could still feel the tires and their love/hate relationship with the asphalt beneath me, and the steering was responsive and quick, hardly what many would expect from such a large vehicle. The power delivery was perfectly linear, the 400hp V8 picked up the weight of the coupe effortlessly and I admittedly found myself getting carried away on more than one occasion. The German roots were apparent and I knew I was driving a car that was built to storm the autobahn. It’s all grand and well that I enjoyed driving a modern car; I’m sure that can be said for many more than myself… but my experience with the F13 did something special. It reassured my faith in the BMW brand. I’ve made it loud and clear that I’ll own vintage BMWs for the rest of my life and I’d argue to wit’s end that there’s no better car on the planet, yet now I can easily say I’d step up to bat for the BMWs of the 21st century as well. While there are countless differences between BMWs of old and new, many things remain entirely the same. The engineering is world class, and the steps forward in automotive development and the product delivered to the customer has never ceased to be the quality that BMW has built their name on. There’s something deep inside of me that finds true joy in noticing remnants of the E9 in it’s modern evolution, from the hofmeister kink in the quarter windows to the subtly similar body-lines and profiles. While it may be years before I find myself owning a BMW made any time recently, I can say on no official terms that I welcome the F13 to the BMW family I know and love. They still build 'em like they used to.